VGA port to read and write LCD TV- MONITORS without disassembly . HDMI port to read and write LCD TV-MONITORS without disassembly . Can support any flash and very easy to add new flash . 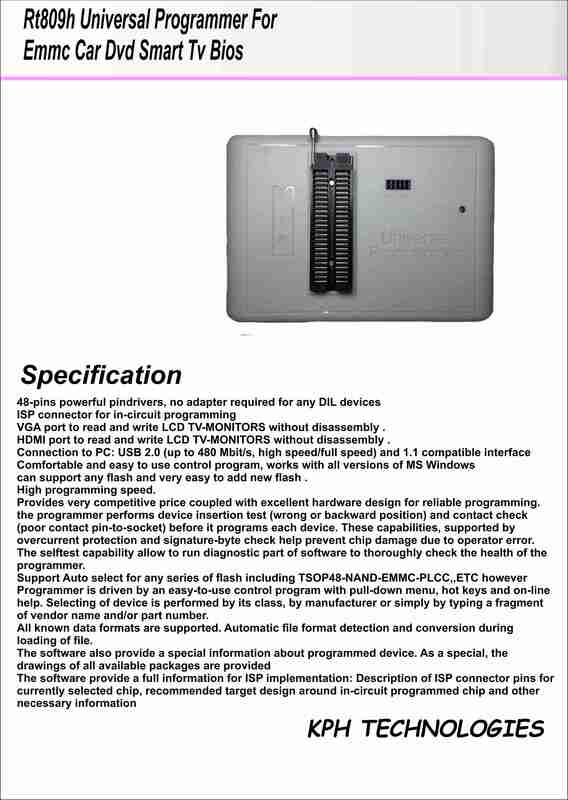 Support Auto select for any series of flash including TSOP48-NAND-EMMC-PLCC,,ETC however Programmer is driven by an easy-to-use control program with pull-down menu, hot keys and on-line help. Selecting of device is performed by its class, by manufacturer or simply by typing a fragment of vendor name and/or part number.